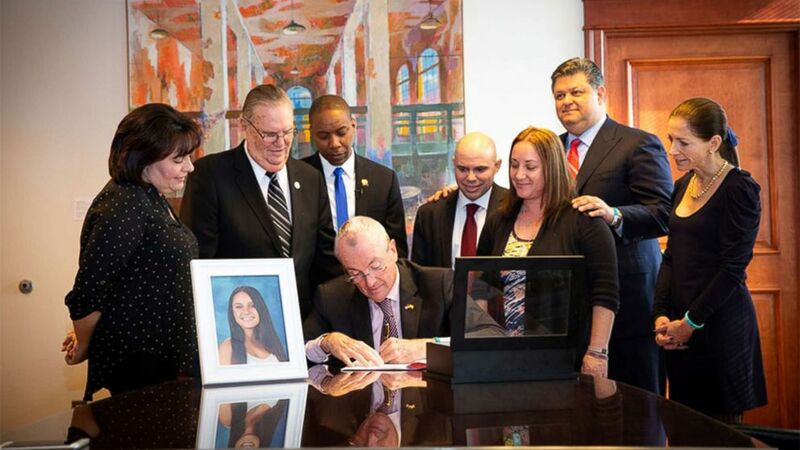 The law was signed in memory of Parkland victim Alyssa Alhadeff. All New Jersey public schools will be required to install silent panic alarms to alert authorities during emergencies like active shooters in the wake of the Parkland, Florida, massacre. New Jersey Gov. Phil Murphy signed the bill on Wednesday. "This is a great legacy," Murphy said moments after signing the bill. "I hope it never comes to it in any school in our state," Murphy said, "but if it does, the lives that this will save will be in her name." Alyssa's parents, Lori and Ilan Alhadeff, were there to witness the signing. 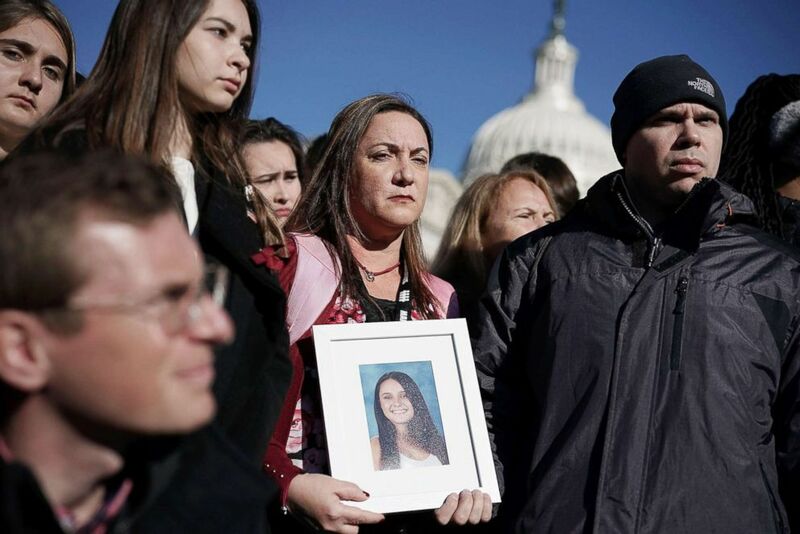 (Alex Wong/Getty Images) Lori Alhadeff and her husband Ilan Alhadeff right, hold a picture of their daughter Alyssa Alhadeff, a Marjory Stoneman Douglas High School shooting victim, during a news conference on gun control March 23, 2018 on Capitol Hill in Washington, D.C. The Alhadeffs said in a statement, "Our hearts are overwhelmed to know our daughter's death is making national changes for school safety and hopefully other states will follow suit." "We know that Alyssa is watching from above," they said. Installing the silent alarms in the state's roughly 2,500 public schools will range from $1,000 to $5,000 per school, according to the Office of Legislative Services. The money will come from some of the $500 million approved last year for improvements to public schools, community colleges and vocational schools, reported NJ.com.